This variation on the traditional mint julep substitutes silver tequila for bourbon. The additional of basil syrup adds yet another level of herb flavor. Add 1/2 cup of sugar to water over low heat. Stir until the sugar is completely dissolved, remove from heat, add basil leaves and set aside to cool. Lightly rub the mint leaves between your fingers to loosen up the oils and release the flavor. Pour the basil syrup , bourbon and lime juice over ice. 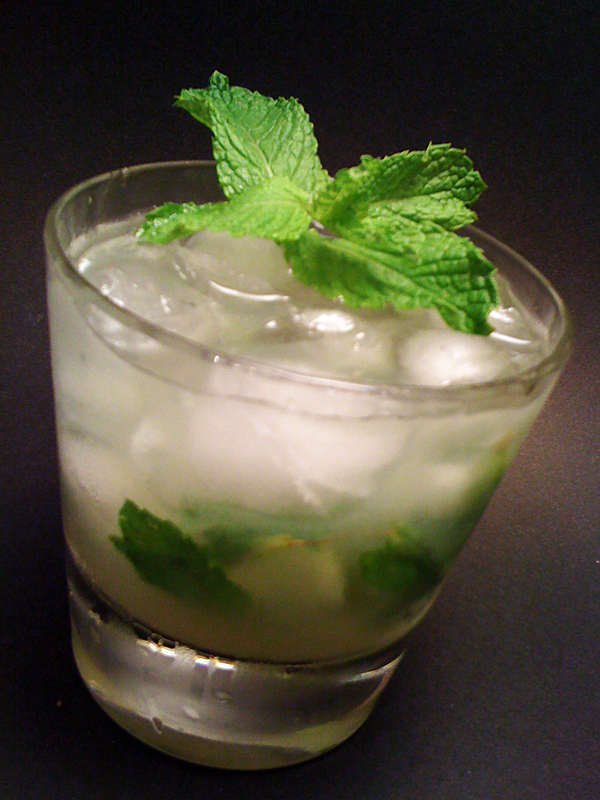 Stir, add a mint sprig and serve to your thirsty friends. Adapted from a recipe at Full Measure of Happiness.